Our Center’s Book Study Group breaks down all that can be obtained from leading contemporary spiritualist books. This class’s purpose is have everyone take away memorable moments from open-group meetings based around this months book. 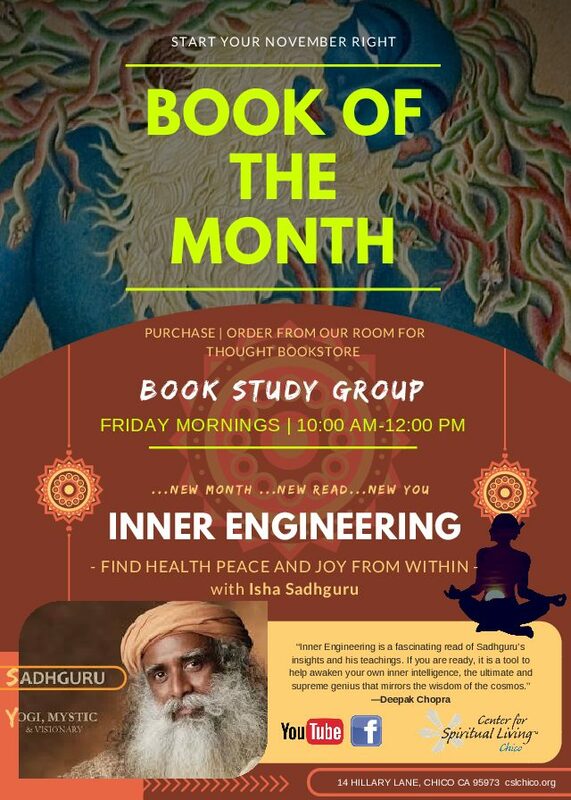 “Inner Engineering: A Yogi’s Guide to Joy Sadhguru” is a NewYorkTimes Best-Seller and award winning spiritual self-help book.